In this post I want to take a break from sharing my research on the ESD in early modern Spain. I want to talk about the current application of the rationalism-empiricism distinction (RED) by philosophers in Latin America. A few days ago, Sociedad de Filosofia Aplicada (Society for Applied Philosophy), an organization in Spain, posted on their Facebook page a link to a blog written by a philosopher in Mexico. The blog entry is titled “Racionalismo y empirismo: el realismo.” I had to check out the post, and what I found led me to do a bit of research on the current use of the RED distinction in the Spanish-speaking world. In this post I want to focus on two examples to illustrate both the dangers of the RED and the benefits of adopting the experimental-speculative distinction (ESD). In Spanish speaking countries, we are taught in philosophy classes in high school and university that the rationalism-empiricism debate frames the history of philosophy in the seventeenth and eighteenth centuries and that such debate was brought to an end by Kant. This assumption leads us to think of rationalism and empiricism as two opposing philosophical schools or movements. This is where the RED starts giving us problems. The author of the blog mentioned above has two posts on rationalism and empiricism: “Racionalismo y empirismo: el realismo” and “Apunte critico: la metafísica dentro del empirismo.” In the former, the author presents rationalism and empiricism as two opposing philosophical theories, although his description of them reflects that they are two opposing epistemological viewpoints. As we have already mentioned in this blog, the fact that the RED is an epistemological distinction means that it is not at all appropriate when it comes to our interpretation of the breadth history of philosophy of that period. This same problem arises in the author’s other post, where he presents empiricism as a whole movement which pretends to “eliminate metaphysics.” There are two issues here: the author uses the term empiricism to refer to logical positivism and the verification principle, and he takes empiricism as more than an epistemological theory. Regarding the first issue, we can see that the use of the term ’empiricism’ itself is unclear, given that it is used to describe both the Vienna Circle and eighteenth-century empiricists; at best, this would lead us to distinguish different kinds of empiricism which, as we have already mentioned elsewhere in this blog, is troublesome. The second issue reiterates the problem of adopting the RED as much more than an epistemological distinction. The author runs into trouble when trying to describe Hume’s thought: “Hume admits, to a certain degree, the value of reason…” Labeling Hume as an empiricist and then claiming that he admits the value of reason raises doubts regarding the usefulness and accuracy of the label. For a second example I want to refer to a blog entry by a Brazilian philosopher. On the blog for filovida.org, she has an entry titled “Sobre o Empirismo e o Racionalismo de John Locke.” She acknowledges the difficulty of labeling a philosopher under either rationalism or empiricism, and then sets out to explain how John Locke cannot be labelled under any of these terms. She explains that Locke in some sense has a foothold in each of the so-called philosophical schools: “Locke’s starting point is an empirical method while at the same time he is committed to a rationalist project…” “This is how Locke’s philosophy encompasses, admirably and sui generis, not rationalism as opposed to empiricism, but rather a rationality which follows a rigid, reasonable, and novel empiricist method.” The author here acknowledges the issues that arise when considering the work of Locke under the RED framework, but her thought can be finessed by switching to the ESD framework. The apparent ambiguity of Locke’s work —sitting between rationalism and empiricism— vanishes when his thought is viewed under the ESD lens. Locke can be more comfortably labelled an experimental philosopher, providing us with a more accurate description of his work and a clearer insight into his thought. The two examples mentioned here just serve the purpose of illustrating the current situation when doing early modern philosophy with the RED framework. Though there has been some talk among Spanish-speaking philosophical circles of the suitability of the RED, most philosophers in the region still take the rationalist–empiricist distinction for granted and work within such framework, unaware of the issues (like in the first example) or the advantages (like in the second example) of an alternative framework. Historians of philosophy in the region can enhance their work and understanding of early modern philosophy by adopting the ESD framework. The switch is a difficult but very rewarding one, one that needs to take place across the whole curriculum in the region; from introductory classes in high school, to advanced research projects in universities. A second guest post by Hanna Szabelska. As I indicated in my previous post, the fatal destiny (fatalité), about which Voltaire complained in a letter to Jean-Jacques d’Ortous de Mairan , made Madame du Châtelet’s mind more and more prone to the allure of Leibniz’s metaphysics, in particular his concept of vis viva. For example, the comparison of fire to living force notwithstanding, the first edition of her essay on heat shows the traces of the influence of de Mairan’s Dissertation sur l’estimation et la mesure des forces motrices des corps. One possible reason for this inconsistency being that de Mairan distanced himself from metaphysics and concentrated on pure laws of motion . In the version submitted for the Academy’s prize competition, du Châtelet added a note criticising Leibniz and praising de Mairan as an advocate of the Cartesian measure of force (mv). Afterwards the Marquise desperately fought for permission to remove it before publication. She argued that this insipid compliment (fadeur) had resulted from her ignorance and was not related to the main theme. But she was unsuccessful . The moral of this digression is that observational data are not enough to establish a hypothesis if there are strong metaphysical objections against it. This is the assumption, although not always articulated, that remains at the core of du Châtelet’s rhetorical vein in the heat of debates, e.g. her discussion with de Mairan about one of Jacob Hermann’s experiments and the measure of force. Remarkably, the exchange with de Mairan was published not only together with the Institutions physiques (1742), the second edition of du Châtelet’s manual of physics, but also with the revised version of her essay on fire. One may think that du Châtelet did not understand the concept of directed magnitudes but was this really the case? After all, she was a very attentive reader of Willem Jacob ‘s Gravesande, who analyses the paradoxical cases of bodies moving in the opposite directions and compares the effectiveness of Leibnizian force measure with the Cartesian one. Not so Madame du Châtelet. The Marquise’s irony towards de Mairan, sardonic despite her capacity to grasp counterarguments, tempts one to suppose that it is one of the aforementioned difficultés métaphysiques that underlies it. Should the Cartesian force be posited as a metaphysical principle of the Universe, the Universe could potentially be left with a metaphysically embarrassing zero value (like in the case of two moving bodies whose momenta are equal but opposite: p and –p). In this respect, velocity squared in the vis viva formula guarantees its superiority. What follows from this is that the relationship between the speculative and the experimental in du Châtelet’s arguments is far from being straightforward. On the one hand, rigorous conceptualization of experiments like that of Boerhaave can serve to build up metaphysical principles, e.g. weightless fire as one of the springs of the Creator. On the other, there is sometimes hidden metaphysical bias in interpreting experiments as the example of Hermann’s balls proves. This complex mix is certainly incommensurable with mathematized classical mechanics as taught today. The question that imposes itself here is: are we really able to pin down the slippery Proteus of experimentalism with a Leibnizian tinge? MLXXXIV – A M. de Mairan, à Bruxelles, le 1er avril 1741, in Oeuvres complètes de Voltaire, ed. Ch. Lahure, vol. 25 [Paris: Librairie de L. Hachette, 1861], p. 522.
de Mairan, Dissertation sur l’estimation et la mesure des forces motrices des corps, Nouvelle édition, ed. Deidier [Paris, 1741], pp. 7-8. Mary Terrall, “Vis viva Revisited,” History of Science 42 (2004): 189-209.
du Châtelet describes it on page 459 ff. of the Institutions physiques. Jakob Hermann, “De mensura virium corporum,” Commentarii Academiae Scientiarum Imperialis Petropolitanae 1 (1726, published 1728): 14.
de Mairan, “Lettre sur la question des forces vives,” in du Châtelet, Institutions Physiques, p. 487 ff. cf. Leibniz’s “Essay de Dynamique sur les loix du mouvement,” unpublished at the time, in Leibnizens Mathematische Schriften, ed. Carl Immanuel Gerhardt, Bd. 6 [Halle: H. W. Schmidt, 1860], p. 215.
cf. Boudri’s interesting interpretation. However, ‘s Gravesande mentions this experiment in Essai d’une nouvelle théorie du choc des corps and not in Nouvelles expériences, as Boudri claims. Christiaan Boudri, What Was Mechanical about Mechanics: The Concept of Force between Metaphysics and Mechanics from Newton to Lagrange, trans. Sen McGlinn [Dordrecht: Kluwer Academic Publishers, 2002], p. 108. Institutions physiques, pp. 466-467. For this passage, I consulted the translation by I. Bour and J. P. Zinsser; Du Châtelet, Selected Philosophical…, pp. 196-197. There are, however, small inaccuracies. E.g. “He took a firm ball of clay and, using Mariotte’s Machine…” See ‘s Gravesande’s description on p. 236: “…une pièce de bois bien affermie par des vis, dans laquelle il y avoit de chaque côté une cavité en demi-sphère, qui servoit à affermir une boule de terre glaise…” ‘s Gravesande, “Essai d’une nouvelle théorie du choc des corps,” in Oeuvres philosophiques et mathématiques, ed. J. N. S. Allamand [Amsterdam: Rey, 1774], Première Partie, pp. 235-236.
cf. ‘s Gravesande, Essai d’une nouvelle théorie du choc, p. 219, definition II and du Châtelet’s malicious remark that de Mairan would not like to be hit by a body moving with a considerable force either from the left or from the right side. cf. the combination of the loss of velocity and indentation in ‘s Gravesande’s experiment discussed above. “Nouvelles expériences,” in Oeuvres philosophiques et mathématiques, Première Partie, p. 284. A guest post by Marco Storni. Was Maupertuis an experimental philosopher? In a recent post on this blog, Peter Anstey pointed out the many ambiguities one encounters when one raises such a question. The perplexity concerns in particular the seemingly contradictory nature of Maupertuis’ contributions to the Berlin Academy: a forward-looking Newtonian in the 1730s, after he takes over the presidency of the Prussian Academy of Sciences in 1746, Maupertuis’ writings deal with stricto sensu scientific topics no more. 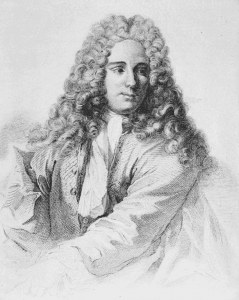 Although an Experimental Philosophy and a Mathematics class existed in the Berlin Academy, “Maupertuis didn’t publish a single article in the Experimental Philosophy memoirs […] nor did he publish anything in the Mathematics section” (Anstey, The Ambiguous Status of Maupertuis), but only in the memoirs for Speculative Philosophy. This remark can be further generalized for, after 1746, also Maupertuis’ non-academic writings also deal with non-scientific subjects, including theodicy, the origin of language, and ethics. How can we explain such a change of perspective? The Supreme Being, the human soul, and everything relating the mind are the object of this science. The nature of bodies too, as they are represented in our perceptions, even if they are something else than these very perceptions, falls within its scope (Ibid., p. 293-294). Speculative philosophy is thus concerned with all the areas experimental philosophy and mathematics do not cover. In fact, speculative philosophy studies the very same objects experimental philosophy and mathematics are concerned with (e.g., natural bodies), but from a different perspective (in the case of natural bodies, from the perspective of the experience of such bodies). Therefore, in Maupertuis’ view, speculative philosophy and experimental philosophy are not necessarily opposed but rather complementary. This is well displayed in his studies on the principle of least action, first formulated as a physical principle (in the academic paper Accord de différentes lois de la nature qui avaient jusqu’ici paru incompatibles, 1744), and then given a metaphysical interpretation (in the Essai de cosmologie, 1750). Maupertuis says something more on the relationship between “speculative philosophy” and “experimental philosophy” in another text of the 1750s, namely the Lettre sur le progrès des sciences (1752). Here, Maupertuis introduces the notion of “metaphysical experience” that turns out to be interesting for our present concern. If physical experiences have to do with bodies—and in the first half of his career Maupertuis focused on physical experiences—metaphysical experiences deal with the spiritual world. Would it not be possible, Maupertuis asks himself, to operate on the soul by means of physiological modifications on the brain? Likewise, would it not be possible to find out how languages are formed by isolating some children and seeing how they manage to communicate? However quaint all this might seem, it nonetheless indicates that speculative philosophy is for Maupertuis essentially intertwined with experimental philosophy. Ultimately, a large part of Maupertuis’ activity in Berlin might be described as the attempt to construct an “experimental metaphysics”. On my analysis, Maupertuis’ status as an experimental philosopher turns out to be less ambiguous than it might prima facie seem. In fact, according to Maupertuis, “over so many centuries […] our metaphysical knowledge has made no progress” (Les œuvres de Maupertuis, 2, p. 430) precisely because the method of speculative philosophy was too abstract and arbitrary. Grounding metaphysics on experiences, as he argues, might actually help to stimulate such progress: and this is the objective Maupertuis strives for in his works of speculative philosophy. On the whole, therefore, I incline to read Maupertuis’ mature position as the attempt to reform speculative philosophy out of an experimental approach. I would nonetheless be glad to hear other thoughts on Maupertuis’ experimentalism. Following up on my previous post, we will examine today the second part of the Alvarez-Palanco-Zapata-Lessaca-Najera controversy. Last time, we introduced the issue by examining Gabriel Alvarez de Toledo’s attempt to stand at the crossroads of the experimental/speculative divide. We saw that he gave an account of the creation of the world which he claimed was consistent with both the story told in Genesis and the theory of atomism. However, some scholastic thinkers viewed Alvarez’s account as a threat, and decided to criticize him. In today’s post we will look at Fransisco Palanco’s attack on the new science and a reply from the novatores side by Juan de Nájera. Fransisco Palanco published in 1714 his Dialogus physico-theologicus contra Philosophiae Novatores, sive thomista contra atomistas as a reaction to Alvarez’s texts. Palanco was perhaps the most vocal of the scholastic thinkers who opposed the novatores and the new science, but his attacks were easily dismissed by the novatores themselves. In fact, even some well-known priests from Palanco’s same order (Emmanuel Maignan and Jean Saguens) criticized the Dialogus physico-theologicus. To begin with, the title of the text suggests that it proposes a defense of Thomism from atomism, but it turns out the text is actually an attack on Descartes and the Cartesian system. Even this description of the text is somewhat inaccurate, since the criticisms made are against a few Cartesians (Antoine Le Grand, Theodore Graanen, and François Bayle) and not Descartes himself. Palanco had missed his target: Cartesianism is not the same as atomism, as the novatores would soon point out. But the most criticized aspect was the fact that Palanco takes the discussion out of its scientific framework, focusing solely on the religious and theological aspect. In spite of all the flaws of Palanco’s text, the book did manage to get the attention of the novatores and it set the stage for a proper scientific debate between scholastics and novatores. In 1716 Juan de Nájera, under the pseudonym Alejandro de Avendaño, published Diálogos philosophicos en defensa del atomismo as a response to Palanco. Nájera constructs a dialogue between an atomist and a scholastic (Palanco), where he shows the supremacy of atomism and reinforces the maxims we saw in Alvarez’s Historia de la Iglesia: corpuscles as the primitive matter for compounds, material forms, the distinction between substance and accident, among other topics. Besides Nájera’s response, the book contains a review by Diego Mateo Zapata where he defends the new science and the novatores, explaining that atomism is different from cartesianism, rejecting Aristotelianism, and reinforcing the importance of experimental physics for our investigation of the natural world. Zapata’s review stands out as valuable, since it gives us some very clear statements of the way in which the novatores stand as Spain’s promoters of experimental philosophy. Oh poor, miserable, weary Physics, or Natural Philosophy, how unattended and disregarded you are, on accounts of not being understood! Everyone dares you, abuses you, and disfigures you wanting to dress you with a Metaphysical varnish. Your truth, real nature and properties are obscured so they can’t be found, nor can the immense variety of your legitimate, sensible, natural Phenomena be explained. Following this, Zapata claims that the cause for this neglect lays in upholding Aristotelianism. He comments that the scholastics follow Aristotelianism blindly, to the point where “the eyes are not believed so the belief in Aristotle is not lost.” This rejection of Aristotelianism and the complaint of the way the scholastics carry out their natural philosophy places the Spanish novatores clearly on the experimental side of the ESD, strengthening the claim that the ESD can be useful for our interpretation of the history of philosophy in Spain. As for the controversy at hand, Palanco’s arguments are not strong enough and even a bit sidetracked, leaving us without much to work with in order to understand the scholastic viewpoint on the matter and if such views line up with the speculative side of the ESD. However, in my next post we will have the opportunity to examine a text by a scholastic which does shed some light on the matter: Juan Martin de Lessaca’s Formas ilustradas a la luz de la razón, a response to Zapata and Nájera. In my last post I considered the benefits of applying the ESD framework to our interpretation of the history and philosophy of science in early modern Spain. We saw that, in spite of the appearance of the terms “empiric” and “rationalist” in the work of some of the Spanish intellectual figures of the period, the ESD framework had a lot more to offer than the traditional RED framework. Today I want to introduce a particular controversy that highlights the advantages of working with the ESD in our examination of science and philosophy in early modern Spain. At the beginning, the matter of the Sensible World was a tangled mass of imperceptible small bodies, which were the primitive state of the creative action, of the material Substance. These tiny bodies differed in their form, and due to them, through movement were capable of creating the various compositions that make this Fabric, which is as varied as it is beautiful. Each tiny body had its own place, and in this way they had extension, though this does not mean that they were subject of division, given that the principle of them was Creation, dividing them would be annihilating them. Here we have a case where a scholastic figure attempts to adopt the new science into his scholastic system, explaining the creation of the world through the union and separation of corpuscles of various kinds. Alvarez adds a note to the passage quoted above where he explains how his account of the creation based on corpuscles and the indivisibility of matter is consistent with the power and wisdom of God. First he explains that God created all things independent of each other, giving each corpuscle its individuality, and that this is not contrary to the process of Creation, since compound bodies are nothing but united corpuscles, whether these bodies are created already as compounds or not. Regarding the indivisibility of the corpuscles, Alvarez explains that, being the result of simple Creation, corpuscles cannot be divided, since this would entail that each of the divided parts would have to exist either through creation or generation, and neither of these options is possible. He goes on to say that the heterogeneity in form, and the extension of these corpuscles is clear, and he finishes the note with a caution which highlights the care taken by the scholastics who adopted theories from the new science. One way of preventing any suspicion of heresy was to claim that the theory was not certain, but rather that it was a probable hypothesis. This is what Alvarez does to conclude his note, saying that “…we do not propose our maxims as evident, but we are satisfied to leave it in terms of probable”. However cautious Alvarez was, the scholastics still saw his book as a threat to their beliefs and set out to criticize it. This was the beginning of a controversy that would involve the leading intellectual figures of the time. Two scholastic thinkers, Fransisco Palanco and Juan Martin de Lessaca set out to attack Alvarez´s book and the new science, while Diego Mateo Zapata and Juan de Najera replied defending the Novatores and calling for the replacement of the old, scholastic science with the new. We will look at the details of each of the texts in forthcoming posts. For now, I want to conclude by commenting on the nature of the experimental/speculative divide in early modern Spain. The Alvarez-Palanco-Zapata-Lessaca-Najera controversy shows that the experimental and speculative ideals stand at two opposite ends of a whole spectrum. While the scholastic Palanco and Lessaca stand clearly closer to the speculative end, Alvarez, a scholastic intellectual, stands closer to the middle, with Zapata and Najera standing at the experimental end. In fact, both Zapata and Najera began their intellectual life closer to the speculative end, but went on to fully embrace the methodology of experimental philosophy as time went by. To complicate the scene even further, during the final years of his life Najera gave up on experimental philosophy and went back to defend the scholastic, speculative way of thinking. This highlights the complexity of the Spanish intellectual landscape, while at the same time providing us with the opportunity to shed light on such a landscape by examining it from the ESD framework. As readers of this blog know, I have been exploring the application of the ESD framework for interpreting the history of philosophy and science in early modern Spain. Throughout the past 18 months or so I have been sharing my research and thought on the experimental/speculative divide in Spain, the application of the experimental method in medicine and natural philosophy by the Novatores, and the attacks on the “new philosophy” by Spanish scholastic thinkers. It is time to take stock on the ESD in early modern Spain, and I want to begin by focusing on one particular issue in this post. One of the purported advantages of applying the ESD framework is that, unlike the terms “rationalist” and “empiricist,” the terms “experimental” and “speculative” were in fact the terms used by early modern philosophers. However, as is evident in a number of my posts, it seems that in early modern Spain the rationalist/empiricist distinction is used by the players in the debate. Could this perhaps mean that the ESD framework is not that appropriate for the Spanish context? I don’t believe this is the case. Let’s start by examining the use of the empiric/rationalist distinction I have referred to in previous posts. It is important here to remember that the frameworks have two dimensions: a historical and a historiographic one. In the Spanish case, the presumed advantage of the RED would hold at the historical level, but it is yet to be seen if this carries over to the historiographical level. However, even at the historical level the RED framework’s advantage is doubtful. As we have explained, there is a very important difference between the two frameworks: while the ESD highlights a methodological distinction, the RED highlights an epistemic one. As we examined in my last post, while Boix uses “empirico” and “racional”, he uses those terms to refer to a methodological distinction, not an epistemic one. So the use of the terms by Boix does not line up with the way they appear within the RED framework. In fact, the fact that the way Boix uses the terms differs from the RED way actually points to the advantages of the ESD at the historiographical level. Even if the figures within the debate were not using “experimental” and “speculative”, the fact that the ESD focuses on a methodological distinction makes it a more appropriate framework for our interpretation of the period. So it seems that, in spite of the empiric/rationalist distinction that appears within the medical context in early modern Spain, the ESD is still a more appropriate framework for our interpretation of the intellectual development in the Iberian Peninsula. This being said, there is still a lot of work to do in order to give a fuller account of the use of “empiric” and “rational” by early modern Spanish figures and their relation to the experimental/speculative divide. One good indicator of the wide dissemination of experimental philosophy in the early modern period is the extent to which it manifested itself in the institutions of the time. The first chair in experimental philosophy was the Plumian Chair in Experimental Philosophy and Astronomy that was established at the University of Cambridge in 1707. The first incumbent of the Chair was Roger Cotes who went on to edit the second edition of Newton’s Principia. We have also mentioned Abbé Nollet before on this blog and the fact that he was appointed Professor Royale de physique expérimentale at the Collège de Navarre in Paris in 1753. It is of great interest, therefore, to note that the important restructuring of the Académie Royale des Sciences at Belles Lettres in Berlin in the 1740s also reflected the central place that was now accorded to experimental philosophy in Europe. The class of Experimental Philosophy, including chemistry, anatomy, botany and all sciences that are founded on experiment. The class of literature will include antiquities, history and languages. There are a number of striking features of these classes. First, note that Experimental Philosophy is here grouped with Speculative Philosophy. It is clear that a form of experimental-speculative distinction is part and parcel of the Academicians’ conception of natural philosophy. Second note that anatomy and botany are included in Experimental Philosophy. This is striking because it is closer to the manner in which experimental philosophy in Britain in the seventeenth century was understood in so far as it encompasses disciplines that were often regarded as part of natural history. In the mid-eighteenth century in France, by contrast, Nollet regarded physique expérimentale and natural history as distinct disciplines. We note also that astronomy and mechanics, two sciences in which Maupertuis excelled, are grouped under Mathematics. This is in spite of the fact that they required observation and experiment. Indeed, Maupertuis’s fame rested in large part on his Lapland expedition of 1736 on which he was able to establish experimentally that the Earth is an oblate spheroid. Yet this had implications for both mechanics and astronomy. Furthermore, it is worth highlighting that morals is considered to be a speculative science. This provides an interesting contrast to the situation in mid-eighteenth-century Scotland where there was a concerted attempt, as David Hume put it ‘to introduce the experimental method of reasoning into moral subjects’. By contrast speculative philosophy is that which ‘considers those objects that don’t have any properties of bodies. The supreme being, the human mind, and all that which belongs to the mind is the object of this science. The nature of bodies themselves, as represented by our perceptions, even if they are things other than these perceptions, they are in its remit’ (Histoire de l’Académie, 1750, p. 120). Interestingly, speculative philosophy here is not a method that begins with hypotheses and principles and constructs natural philosophical systems. Rather it includes subject matter that is beyond the scope of natural philosophy, what we would call metaphysics. Of course, metaphysics had long been associated with speculative philosophy. Newton’s railing against metaphysics is a case in point. However, for Newton the hypothetical or speculative philosophers allowed metaphysics to intrude into their natural philosophical reasoning. Here, by contrast, speculative philosophy is clearly demarcated from the study of material bodies. Is this indicative of a shift towards regarding speculative philosophy as pertaining to metaphysics rather than to natural philosophy in mid-eighteenth-century Europe? I would be keen to know of parallel definitions of speculative philosophy. A while ago, Peter Anstey argued that, while the traditional rationalist-empiricist distinction (RED) is primarily about epistemology, questioning the foundational sources of knowledge, evidence and justification from an a priori, first-person perspective, the experimental-speculative distinction (ESD) is primarily methodological, concerned with how knowledge is generated. In this highly speculative post, we consider a consequence of preferring one of these distinctions over the other, namely, its effect on our understanding of philosophical progress in the early modern period. Note that the ESD is just one way of providing a methodological (as opposed to epistemological) narrative about the history of ideas, and we think much of what we have to say is perfectly compatible with those who, for instance, take a non-traditional (specifically, methodological or technological) stance on empiricism (see, for instance, Newton and Empiricism). We suspect that the RED and the ESD give very different answers to questions about what the main driver of change in early modern philosophy was. Insofar as the RED gives us an account of what mattered in early modern philosophy, it generates stories about foundational, a priori investigation into the nature of knowledge. In contrast, the ESD tells a story of philosophical progress driven by scientific achievement, technological development and methodological innovation. These are two very different narratives about the history of ideas. Moreover, they emphasise the contributions of different historical figures. When the focus is epistemology, we fixate on theorists who provided accounts of knowledge and its justification—namely, the canonical seven: Descartes, Leibniz, Spinoza, Locke, Berkeley, Hume and Kant—to the exclusion of other historical figures. The early Royal Society, for instance, clearly influenced the direction of Western thought, i.e. Western philosophical thought, enormously. Yet its members are sidelined in favor of epistemologists. The ESD’s methodological emphasis shifts our focus. Boyle, Hooke and Newton, for example, did not produce new theories of knowledge, but they made strides in terms of methodology. Their inquiries yielded original ideas about how to produce knowledge and utilise new technologies (e.g. experimental apparatuses and mathematics). On this view, Newton made an enormous contribution to (anachronistically) philosophy as well as science. Newton synthesized Baconian experimental philosophy with the mathematical rigour of geometric methods—as we have argued on this blog, this methodology was influential beyond natural philosophy. Newton didn’t tell us what it is to know, but he did tell us how to go about generating knowledge. On the RED, scientific advancement is at best a side-show, on the ESD it is (to misquote Newton) the main business of philosophy. This bit of speculation raises some questions. Firstly, presumably it is a mistake to think that any one factor has played a privileged role in shaping history, intellectual or otherwise. Thus, arguing that the history of ideas is methodology-driven, rather than epistemology-driven, creates far too stark a dichotomy. If our speculation holds water, then the upshot is that the role of epistemology is over-emphasized. But how much, and how might we go about attributing blame? Secondly, it is not clear to what extent frameworks such as the RED and the ESD should be read as hypotheses about historical forces. We might simply interpret them as handy heuristics—giving direction to various legitimate research interests. Moreover, they might bring out narratives relevant for understanding other parts of history. For example, one might argue that the RED is important for examining how later philosophers understood and were influenced by the early moderns (something like this view is defended here). So, how should we understand the content and role of such frameworks? Thirdly, historians these days don’t often go in for ‘grand narratives’—and with good reason. Human history is messy and, typically, simplistic, one-size-fits-all explanations are inapplicable. Moreover, it’s not clear what difference such macro-scale frameworks make at the coalface of academic history, where historians and philosophers must engage with complex ideas and even more complex individuals. Prima facie, seeing Newton as an experimental philosopher rather than an empiricist won’t affect our interpretation of query 31. It might seem that the business of academic history is far too fine-grained for those differences to matter often. So, how much do such frameworks effect the day-to-day work of philosophers and historians? Regardless of our answer to that question, we think these grand narratives do matter. They help decide the direction of research, and what counts as a good question for serious academic history of philosophy. Moreover, they influence pedagogy: how and what we teach (see our discussion here). Finally, they might play a role in how we, as contemporary philosophers, see ourselves and our field’s development. This thought raises a further question: what role has the RED’s historical narrative played in vindicating and perpetuating the idea that ‘core’ epistemology targets questions about the nature of knowledge and its justification from a first-person a priori perspective? So far, these speculations have raised more questions than answers. We’d love to hear your thoughts on them. Recently, Zvi Biener and Eric Schliesser’s long-awaited volume, Newton and Empiricism, appeared on the shelves. The book is an excellent collection of papers, which makes a significant new contribution to the field. Today I want to focus on one aspect of this volume: the decision to frame the collection in terms of empiricism rather than experimental philosophy. Over the last four years, we have provided many arguments for the superiority of the ESD over the RED. An important line of argument has been to show that ‘experimental philosophy’ and ‘speculative philosophy’ were the key terms of reference used by the actors themselves, and that they characterised their own work in terms of this division. For example, I have argued here, here, here and here that Newton is best understood as an experimental philosopher. In their introduction, Biener and Schliesser explain their decision. They acknowledge the ‘Otago School’, and argue that, while in general there may be some good reasons to prefer the ESD to the RED, they see various problems with labelling Newton an ‘experimental philosopher’. Their concerns amount to the following: labelling Newton an ‘experimental philosopher’ obscures the idiosyncrasies of his approach to natural philosophy. They argue, firstly, that the label belies the significant influence of non-experimental philosophers on Newton’s methodology, for example those who influenced his mathematical focus. Secondly, that the label unhelpfully groups Newton with Boyle and Locke, when many features of his work support a different grouping. For example, Newton’s mathematical-system building suggests that his work should be grouped with Descartes’. Thirdly, they argue that the fact that Newton did not employ the label himself until after the publication of the first edition of the Principia suggests that he did not fully identify with the label. These are important issues about the ESD and Newton’s place in it. So today I want to reflect on the broad problem of Newton’s idiosyncratic position. I argue that Newton’s divergence from Baconian tradition of the Royal Society is best seen as a development of experimental philosophy. On this blog, I have sketched many features of Newton’s natural philosophical methodology. I have argued that, if we look at Newton from within the framework of the ESD, he can be neatly and easily identified as an experimental philosopher. His use of queries, his cautious approach to hypotheses, and his many methodological statements decrying the construction of metaphysical systems, suggest that this is a label that Newton would have been comfortable with. However, there is an important caveat to note: while Newton was clearly influenced by the Baconian experimental tradition, he did not consider himself a Baconian experimental philosopher. In the earliest statements of his mathematico-experimental approach, Newton set up his position in opposition to the Baconian experimental philosophers. In these passages, one feature of Newton’s methodology stands out in explicit rejection of the Baconian method: his claims to certainty. This feature, in itself, is not very significant – many experimental philosophers believed that, in the end, natural philosophy would be a form of scientia, i.e. a system of knowledge demonstrated from certain axioms. Indeed, Bacon shared this ideal of certainty. He thought that his method of induction could get around the problems usually associated with ampliative inference and deliver knowledge of the essences of things. Thus, Bacon’s method of natural history was ultimately supposed to provide the axioms on which scientia could be founded. The challenge, which everyone agreed on, was to discover those axioms on which the system would be built. Where the Baconian experimental philosophers advocated a two-stage model, in which construction of natural histories preceded theory construction, Newton appeared to reject this two-stage approach. Newton commenced theory-building before his knowledge of the facts was complete. Related to (1), the Baconian experimental philosophers conceived of phenomena as immediate facts, acquired via observation, and hence pre-theoretic. In contrast, Newton’s phenomena were generalised regularities, acquired via mediation between observation and theory. For the Baconian experimental philosophers, queries were used to give direction and define the scope of the inquiry. But Newton’s queries were more focussed on individual experiments. There is strong textual evidence that the ESD was operative in Newton’s early natural philosophical work. We have good reason to suppose that Newton regarded his natural philosophical pursuits as experimental philosophy. This becomes clearer in Newton’s later work. For instance, in the General Scholium to the Principia (1713), Newton explicitly described his work as ‘experimental philosophy’ – indeed, Peter Anstey has noted that Roger Cotes also recognised this feature of Newton’s work. We also have good reason to suppose that, in important ways, Newton saw his work as aligned with the Royal Society and, by extension, with the Baconian movement. But Newton was also a mathematician, and he saw a role for mathematical reasoning in experimental philosophy. In many ways, it was this mathematical approach that led to his divergence from the Baconian experimental philosophy. A guest post by Tammy Nyden and Mihnea Dobre. A while ago, we published an announcement on this blog of our forthcoming edited volume, Cartesian Empiricisms (Springer 2013). A claim in that post – that some Cartesians “seem to escape the ESD distinction” – has been questioned by Peter Anstey in another post. We thank him for the intervention and would like to push forward our claim and discuss it in more detail as this will reveal some of our concerns with the ESD (experimental-speculative distinction). In his reply, Peter Anstey asked, “Did the Cartesians practise a form of experimental philosophy analogous to that of the Fellows of the early Royal Society?” We would argue that the question itself is problematic, as there are not two practices or worldviews to compare. There is variation among the Cartesians as well as among the fellows of early Royal Society. In order to gain a nuanced understanding of these historical actors, we suggest a rather different question: “What role did Cartesian philosophy play in the acceptance and spread of experimental practices in late seventeenth-century philosophy?” When we ask this question, we recognize the experiments of Robert Desgabets on blood transfusion, Henricus Regius on liquids, Burchard de Volder’s with air-pumps, etc., and consider how their work improved experimental technologies, influenced a theoretical reflection on the role of experiments and the senses in natural philosophy, and influenced institutional change that was favorable to experimental science. Because Cartesians took various aspects of Descartes’ system and merged it with various aspects of experimentalism, there is not one ‘Cartesian’ use of experiment, but several. For example, both Regius and de Volder promoted experiment, but Regius rejects Descartes’ theory of innate ideas while de Volder defends it. Many Cartesians came to reject hyperbolic doubt, some defended vortex theory, some did not. Cartesian Empiricisms is not a complete inventory of such views expressed by Descartes’ followers. Rather our goal was to encourage the discussion of the above-mentioned question and to reveal some aspects that have been unfortunately neglected so far by both historians of philosophy and science. Readers of this blog are familiar with the objection that traditional historiography of science was built on the Rationalist-Empiricist distinction (RED). A consequence is the exclusion of so-called “rationalists” from the histories of science, particularly history of the use, development and acceptance of experiment. This is problematic because recent research (e.g., Ariew, Lennon and Easton, Easton, Schmaltz, Cook, Nyden, Dobre, etc.) shows that many so-called rationalists were deeply involved in the practice and spread of the acceptance of experiment in natural philosophy. Cartesian Empiricisms gives further emphasis to this issue, as it examines several philosophers who identified as committed Cartesians who were deeply involved in experiment. According to historiographies that divide the period into two mutually exclusive epistemologies or methodologies these philosophers either do not exist (i.e., they are overlooked by histories of philosophy and science) or are seen as “not really Cartesian” or “not really experimentalist,” as it would be needed by that particular narrative. Thus, we do share the concern of the authors of this blog, that such binaries as RED force us to fit philosophers into categories that they would not themselves recognize and causes us to misrepresent seventeenth-century natural philosophy. Moreover, we acknowledge that this blog importantly shows the anachronism of the RED, a way of viewing the period that is constructed later by what may be called Kantian propaganda. However, we would like to raise now some of our concerns with the distinction promoted by this blog, the experimental-speculative distinction (ESD) and explain why some Cartesians would escape the ESD. Our worries cover two important aspects of the ESD: the label “speculative” and the actor-category problem. (1) In a very recent post, Peter Anstey argued that eighteenth-century Newtonians pointed out Cartesian vortex theory as a prime representative of speculative philosophy (our emphasis). We caution against letting eighteenth-century Newtonian propaganda color a historical interpretation of seventeenth-century natural philosophy. Voltaire, d’Alembert and others took great pains to contrast Newtonianism from Cartesianism as two mutually exclusive worldviews who battled it out, with Newton’s natural philosophy as the victor. But the reality is that after Descartes’ death (1650) and before the victory of Newtonianism in the middle of the eighteenth century, followers of both Descartes and Newton had more in common than we are led to believe. More importantly, both “camps” had more diversity than we were ready to accept in the traditional histories. Cartesian Empiricisms draws attention to that diversity within Cartesianism. Perhaps the one thing Cartesians discussed in the chapters of this volume do have in common is that they do both experimental and speculative philosophy, as these two categories are sometimes defined on this blog. But this last claim leads to our second concern with the ESD. (2) A reader of this blog will find that when ESD is compared to RED, the first advantage highlighted over the latter is that “the ESD distinction provided the actual historical terms of reference that many philosophers and natural philosophers used from the 1660s until late into the 18th century.” While there is no doubt that many early modern philosophers were using this language (i.e., “experimental” and “speculative”) in their writings, it is equally true that such language is not in use by the Cartesians. If one would be very strict with picking up “the actual historical terms of reference,” one will see another pair of terms keep mentioned by various Cartesians, “experience” and “reason.” Of course, one can read this pair as another form of the ESD, but that would be an interpretation, and a problematic one at that. Both the Cartesians and the so-called “experimentalists” were trying to determine the proper relationship between reason and experience and when one looks at their attempts, it becomes even more difficult to draw a clear line between speculative philosophers and experimentalist philosophers. Our concern is the possible danger of transforming ESD into a new RED. Experimental and speculative may be useful adjectives to describe aspects of a particular philosophy or particular commitments of a philosopher (especially when the two terms are clearly stated in one’s writings). However, they are not useful for dividing philosophers or their natural philosophies, particularly when they are not already conceived as falling within the “experimental philosophy” camp, as is the case for Cartesians at the end of the seventeenth century.